Add Algaberry™ in your soup! Add 1~2 spoons Algaberry™ in soups to give you and your family a great meal full of nutrition. Cool down the soup before adding Algaberry™. 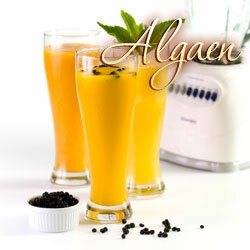 Lower temperature will help to reserve Algaberry’s nutrition until it reaches our digestion system. 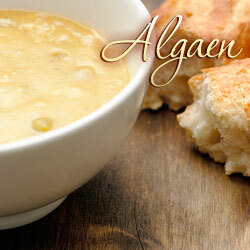 Clam chowder soup and chicken noodle soup are great starts to enjoy Algaberry™.